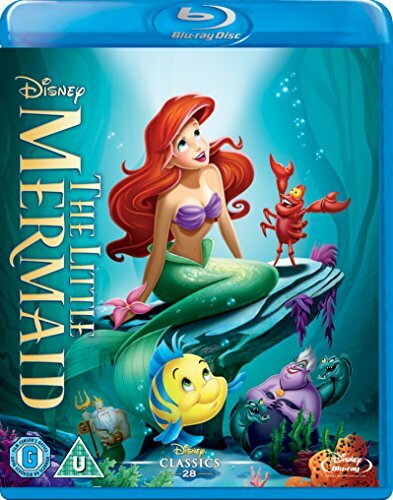 The Little Mermaid, one of the most celebrated animated films of all time, is spectacularly transformed on Blu-rayTM, with a state-of-the-art digitally restored pictured and brilliant high definition sound! Venture under the sea where Ariel, a free-spirited mermaid princess, longs to be part of the human world. After bravely striking a bargain with Ursula, a sneaky sea witch, Ariel embarks on the adventure of a lifetime. With Flounder and Sebastian at her side, Ariel will need all of her courage and determination to make things right in both her worlds. If you have any questions about this product by MikY, contact us by completing and submitting the form below. If you are looking for a specif part number, please include it with your message.